The Dronsfields had their first daughter here in Hawaii, then moved away to the West Coast for work. 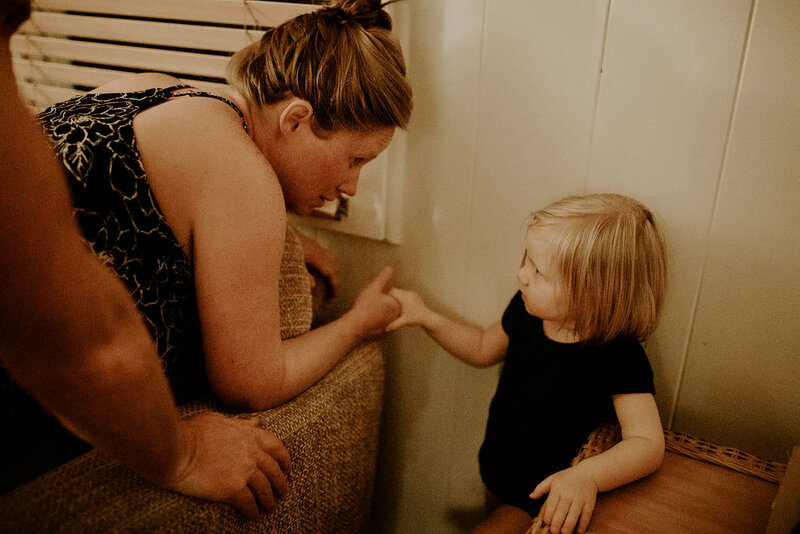 When Jen got pregnant with her second, she knew she wanted to come back to Hawaii to have her baby here with the same midwifery team. 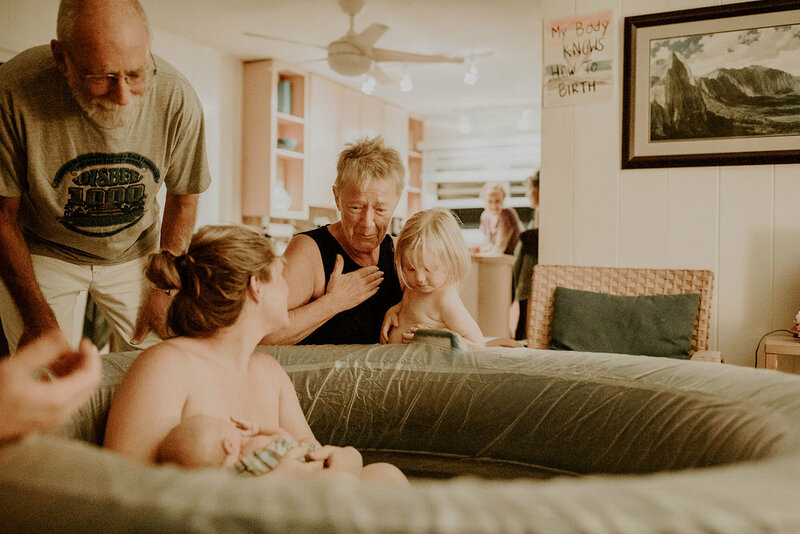 They saved all their pennies and rented a house in Waimanalo, got their amazing midwives, and decided to hire me to document their amazing story - I am so thankful! 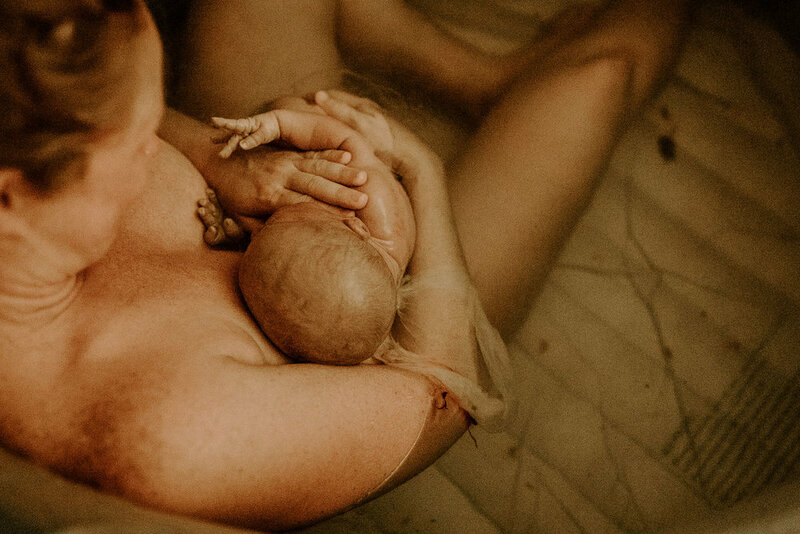 When she got in the tub, her daughter kept giving her kisses and rubbing her arm. It was the sweetest thing ever! The urge to push came, and when she pushed we could see the bag of water bulging, still intact. As baby Corbley made his way out and was caught by his mom and dad, his sac stayed intact and ruptured on its own as his body was coming out. Dad was the one who gently lifted the membrane from his face and it kept floating by his head like a halo.